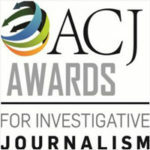 The Asian College of Journalism, with the support of the Media Development Foundation, has instituted an award to recognise and encourage the best works of investigative journalism produced for Indian readers, viewers and audiences in order to promote journalism in the public interest. The news media has had a tradition of unearthing wrongdoing and holding power to account in India. The awards are being instituted to act as a catalyst and inspire more journalists, editors and newsrooms to pursue investigative work, and in the process, raise the standards of journalism and contribute to the public interest. The award for Print + Digital (newspapers, magazines, websites and other digital platforms) will comprise a trophy, citation and a cash prize of Rs 2,00,000/- (rupees two lakhs). Investigative journalism, for the purpose of the award, will be that which exposes wrongdoing and which has the public interest in mind. It will cover a wide variety of journalistic investigation including of abuse of public office, environmental degradation, human rights violation, financial fraud, corporate mismanagement, gender-related violence, political apathy, war crimes, civic neglect and much more. This is only an indicative, not an exhaustive, list of what could come within the ambit of investigative journalism. The judging criteria will include the nature of the investigation, its impact and the extent of the public interest involved. 1. 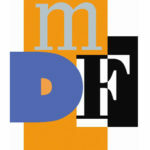 Entries can be made for print and online/digital/multimedia portals. 2. Entries should have been published in India. 3. Entries can be made for work appearing in any language, as long as an English language translation is provided for judging purposes. The English translation should be faithful to the original work. The work will be judged based on the English translation. 4. Organisations or individuals may apply, based on the nature of the work and the number of persons involved, i.e., teams or individuals may be nominated. 5. Each entrant can submit a maximum of three separate entries in each category. 6. Each entry could have several parts, such as a series of articles. 7. Winners’ work will be showcased on the awards website. 8. The ACJ Awards Committee reserves the right to request nominees to authenticate the publication of their work(s). This includes proof of publication, or, where such proof is not available, a letter of authentication from the publisher or editor. 1. Only journalistic work that was published from 1 January 2018 to 31 December 2018 will be considered. 2. The deadline for nominations/entries is extended to March 4, 2019. Entries submitted after this date will not be considered. 3. The final shortlist will be announced and the winners will be presented the awards on 3 May 2019 in Chennai at the ACJ Convocation Ceremony. The Jury for the Awards is being finalised and will be announced soon.